Yup, especially when reading instructions from BurdaStyle magazine, which seams (ha ha! Did you catch that?) to be excessively concise. However, just in case anyone else out there wants to make this lovely coat, I thought I’d actually post pictures of the steps of the hidden closure to help you decipher the cryptic instructions. I did actually make a small model to see if the instructions would work. They did, but I was very glad for the practice run! 1. 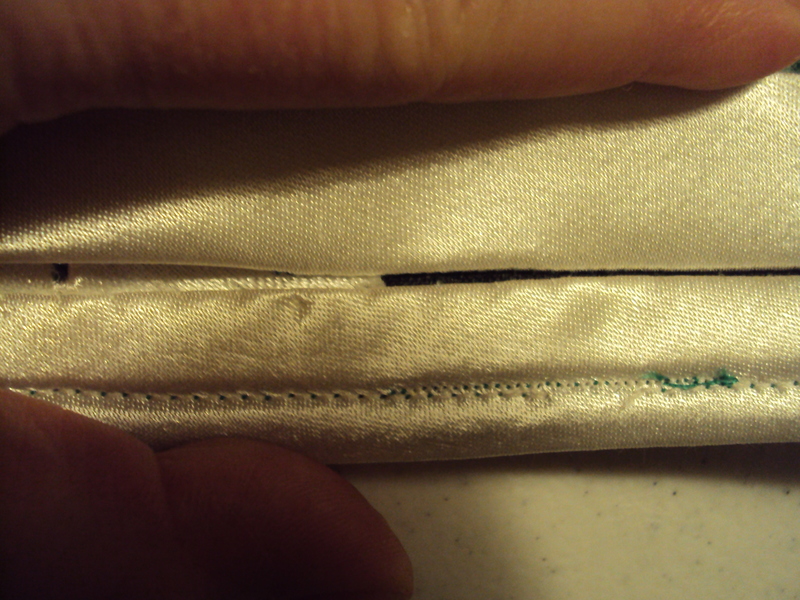 Hand-baste along slash line on facing so it’s visible on the right side of the fabric. Mine is in pink thread below. You’ll have to excuse the crookedness of it. I basted the slashing line after sewing the dart and shaping the front, so of course it went off. 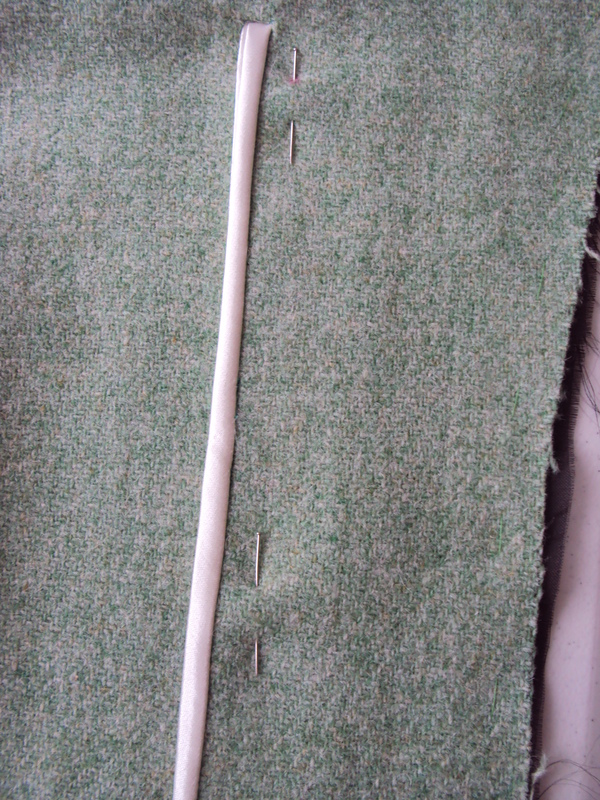 I realized this when sewing it (step 3 below), so I just used the interfacing edge as my guide to straightness. 2. 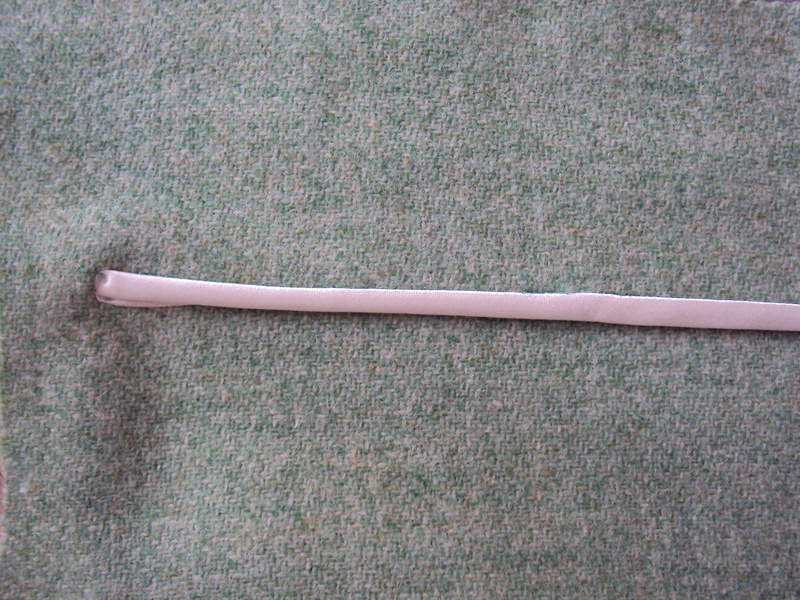 Lay lining strip centred over marked line and pin in place. 3. 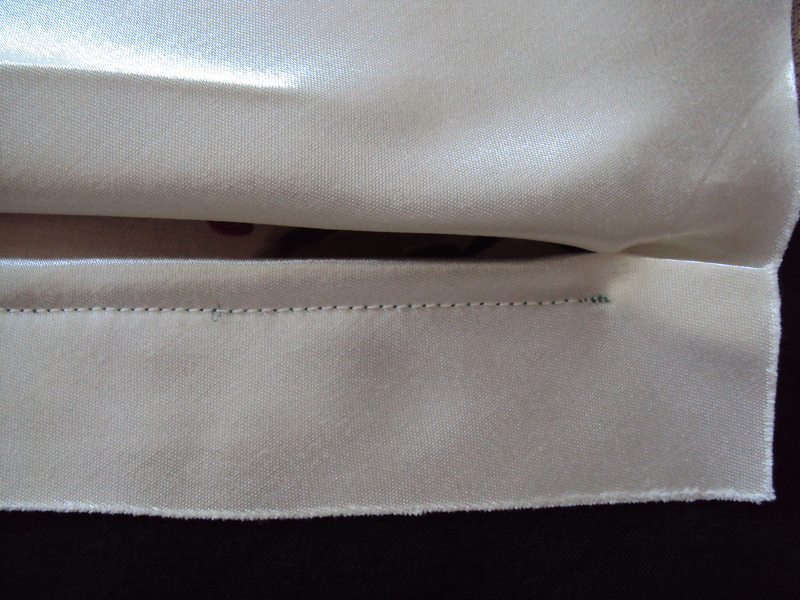 Work from wrong side to stitch a rectangle, about 7mm (1/4 inch) wide around the marked opening. 4. 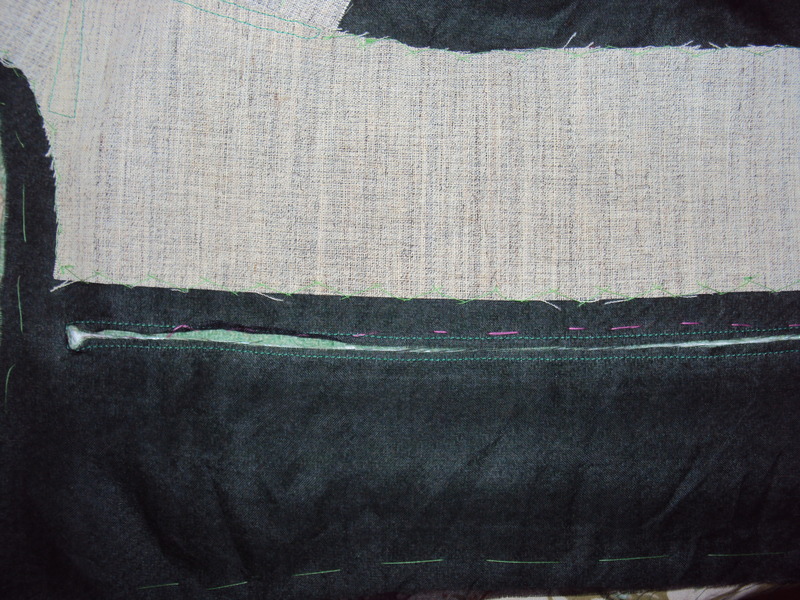 Slash between lines of stitching and clip diagonally into corners at top and bottom end, as seen above. 5. Turn lining strip to inside and press ends of opening. 6. 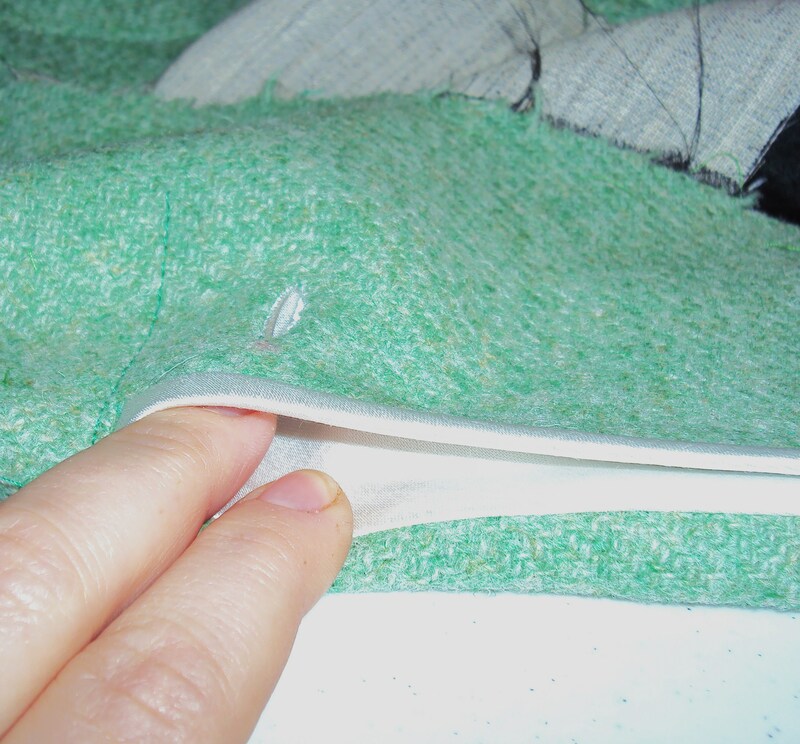 On lengthwise edge which lies next to marked buttonholes, turn lining strip into opening and fold it so that it fills the opening. WHAT?! In other words, BurdaStyle, like a narrow welt pocket. Sheesh! 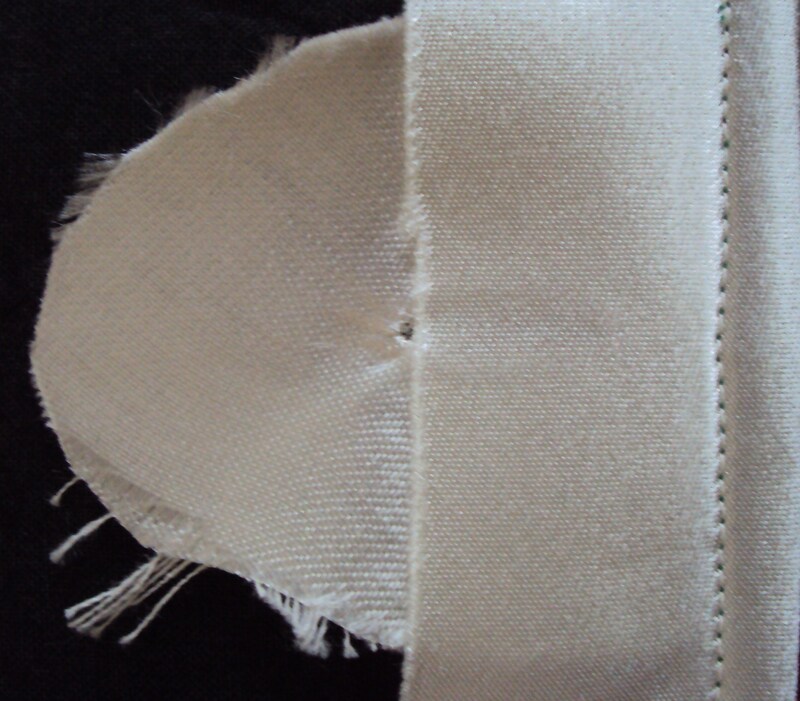 In the picture, the facing is on the right side of the welt; the coat front is on the left. 8. Work buttonholes as marked. I did Spanish snap buttonholes, directions for which I will post tomorrow. 9. 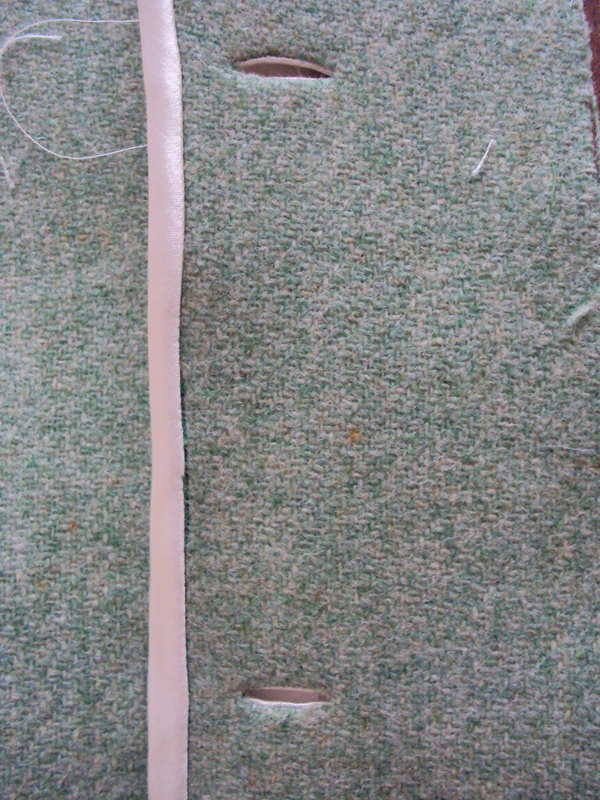 Lay lining strip at front edge of opening toward inside edge of facing. Baste opening closed. 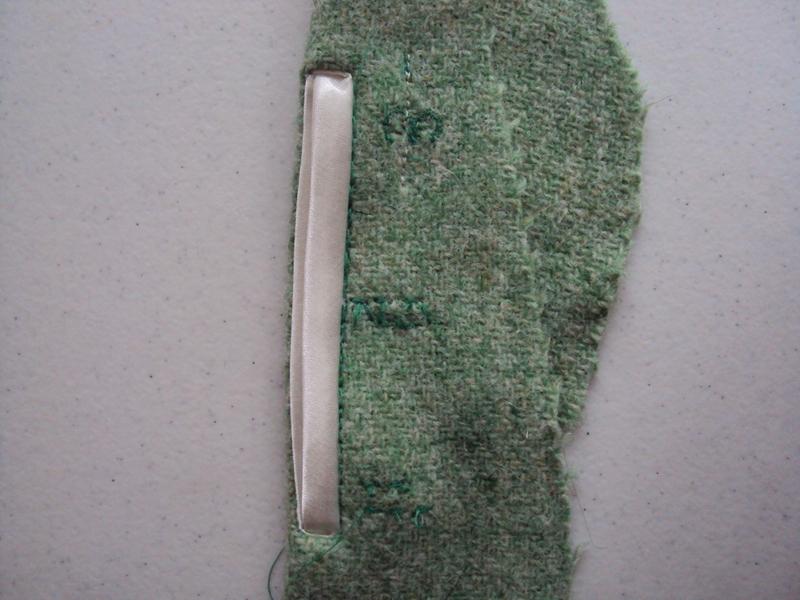 Well, I couldn’t do this, because the purpose of this step is to “face” the back of the buttonholes, which I couldn’t do because the lining strip was narrower than the width of the buttonholes. 10. 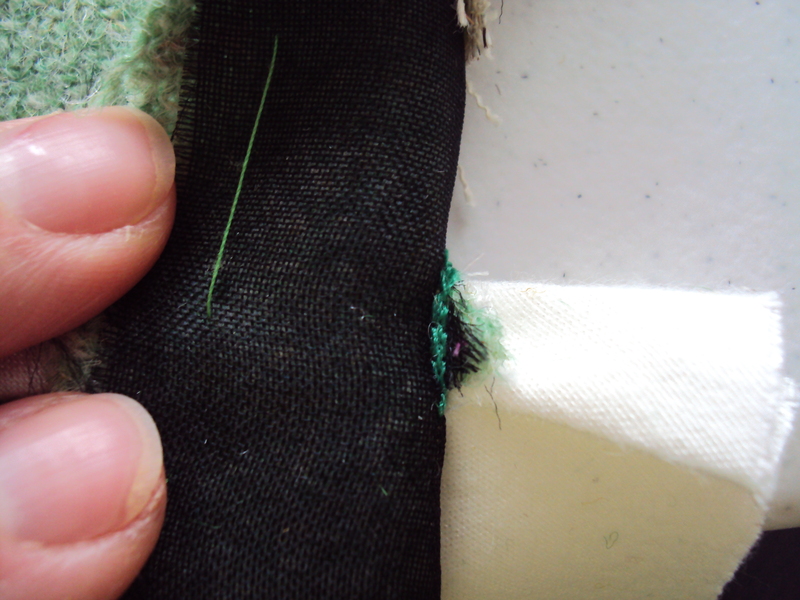 Stitch small triangles at ends of opening to lining strip on inside. 12. 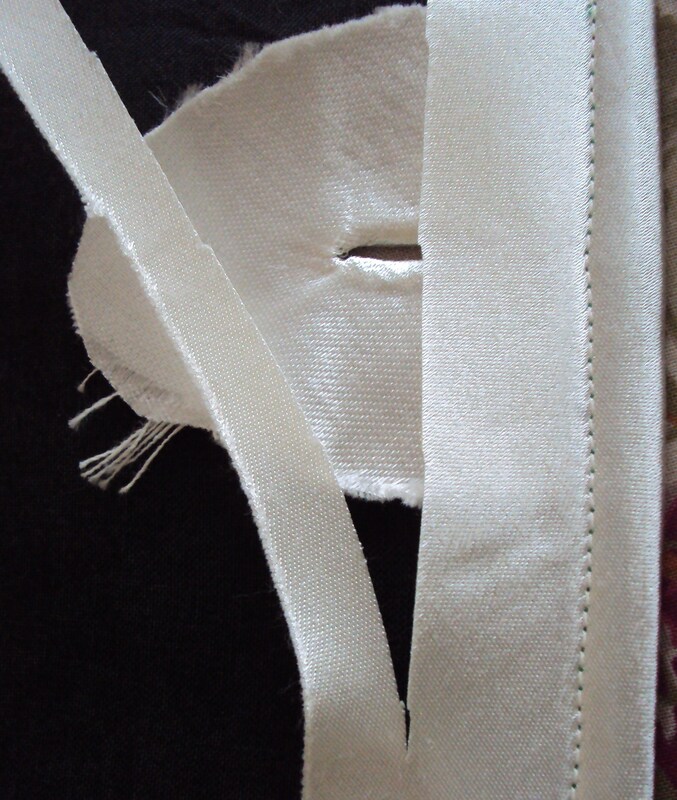 Stitch across opening, centred between buttonholes. 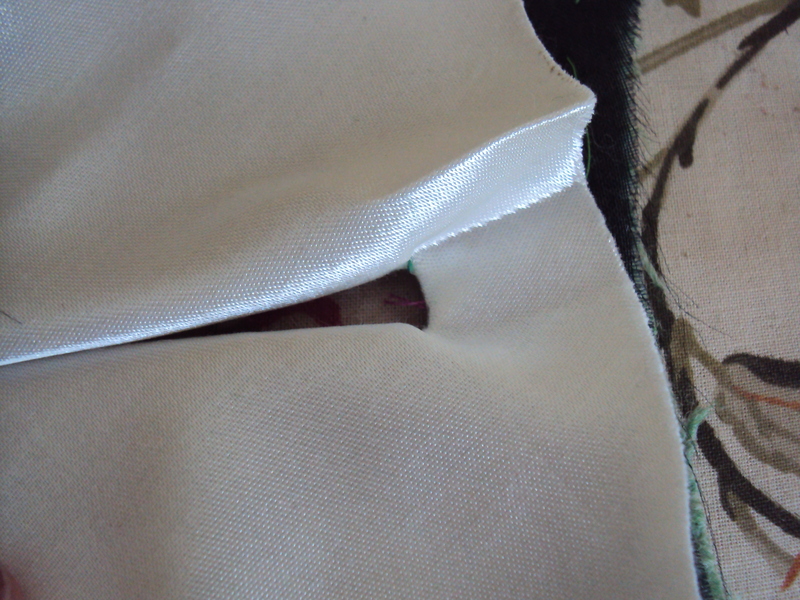 I marked 3/4″ (roughly 2 cm) on either side of the buttonhole as my starting an ending points, as this was the distance from the top/bottom of the opening to the top/bottom buttonholes. Et voilà! 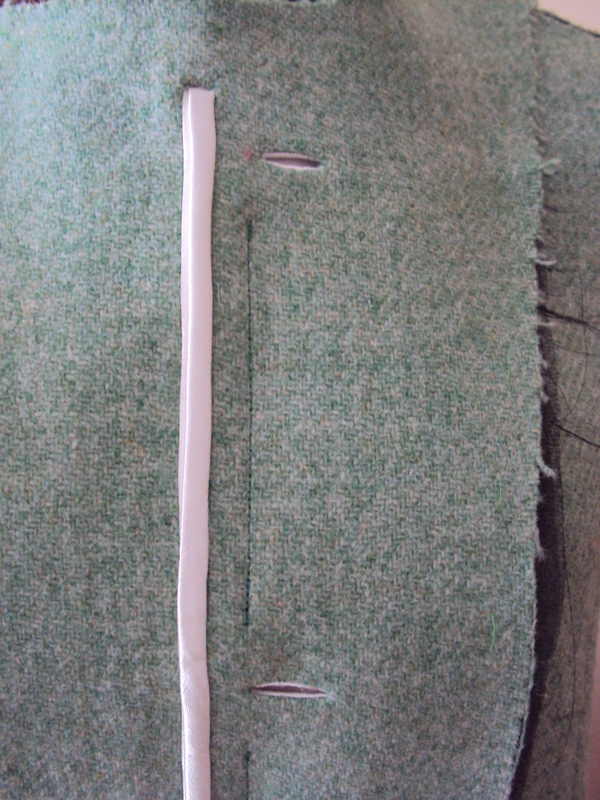 Completed hidden buttonhole closure. Well, after that, I had a glass of Bailey’s on the rocks. OMG those Burda instructions really can drive you crazy! Thanks for this! oh my god!I am busy with this coat and I must say that I did go crazy with thios closer …Crazy!!. I love you for this tute! Thank you, thank you, thank you!